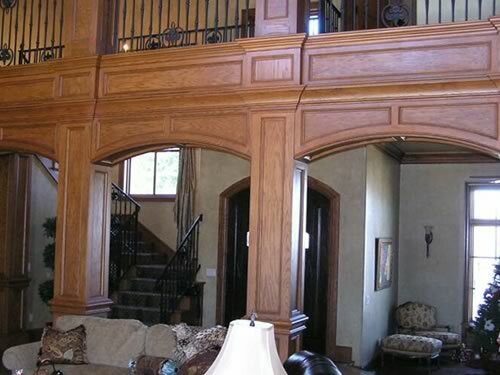 Architects - Customers - Wood Components offers quality curved and arched moldings, lineal trim, and specialty millwork for commercial contractors and home builders, plus wood and plastic OEM parts and components for manufacturers of machinery equipment. Looking for something to make your project really stand out? Beautiful, one-of-a-kind millwork can do just that! Wood Components can be an additional resource for you. Our knowledge of woods and construction can help you design exceptional unique projects. 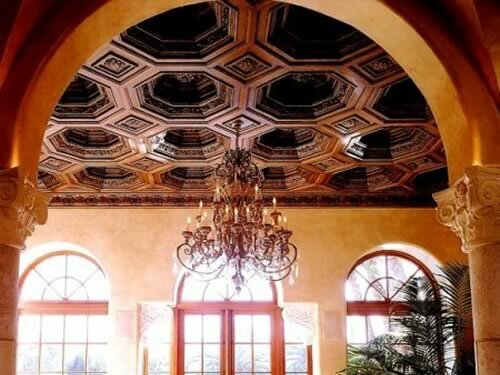 We will work with you in choosing beautiful, high quality millwork including half-circles, quarter-circles, segments, ellipticals, ovals, and full circles in casings, back bands, and extension jambs, plus curved crown and base that can set your work apart. 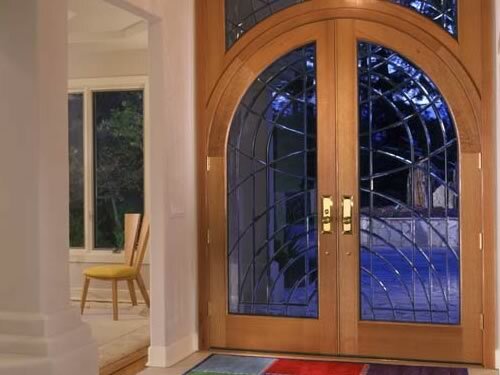 Our extensive library of window manufacturers' architectural details will permit us to help you match casings and extension jambs with the proper radius. If you are designing restoration work, we can perfectly match existing profiles. Our custom knives and shop craftsmanship can return a period project to better than original status. Our expertise can assist you in determining solutions for difficult millwork applications and best use of materials. In short, Wood Components can be your technical adviser regarding use of millwork in your designs. We can visit the job site, if necessary, on a regular basis to check on project progress and answer field questions regarding millwork. Our timely deliveries ensure that work schedules do not stop for lack of product. You can choose from a complete line of hardwoods and selected softwoods in a wide assortment of stock and custom profiles. In fact, you can create your own profile and we can produce it! 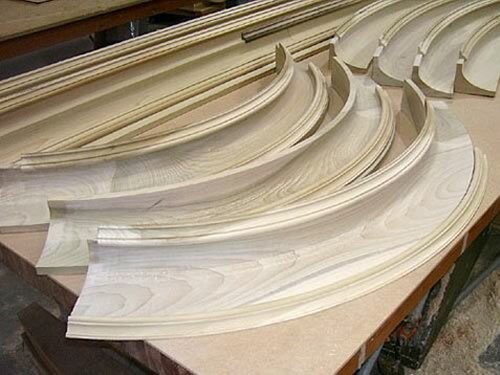 We construct our arched and curved millwork from a lamination process that carefully maintains grain integrity throughout the entire piece while limiting visibility of glue lines. Many of our customers have stated that the final product appears to have been "steam bent." Our primary market is the Upper Midwest region, but our millwork can ship throughout the United States. Lead-time for manufactured items is exceptional, usually 2-4 weeks in most cases. Design and consultation time varies depending on the scope of the project. Do not hesitate to contact Wood Components for your next project and discover the value of our service.